Companies operating within the cleanroom sector have been looking to expand their product ranges, increase distribution capabilities and grow their market share for 2017. UK businesses were a particularly attractive option given Britain’s decision to leave the EU, which has weighed on the pound, making company valuations more attractive. Furthermore, the healthcare industry has been driving business activity within the cleanroom market because of the need to maintain contamination-free environments for the manufacture of medical devices and drugs. One of the most active and significant companies on the acquisition front was VWR, which provides product and service solutions to the laboratory industry. Building on its service offering, in March, the company acquired EPL Archives, an international biorepository services organisation, and then in April, acquired MESM, a provider of laboratory/medical equipment and ancillary supplies to clinical trials. Both deals complemented VWR’s business VWRCATALYST by providing additional services such as: non-clinical archiving, clinical biorepository and bio banking, regulated data management, manufacturing material storage and specialised logistics and support services to achieve full end-to-end product solutions, benefiting many existing VWR customers. Continuing its growth ambitions, in May, VWR and Avantor — a global supplier of ultra-high purity materials for the life sciences and advanced technology industries — entered into an agreement in which Avantor bought VWR for US $33.25 in cash per share. The transaction reflected an estimated enterprise value of $6.4 billion, hence was one of the biggest cleanroom sector deals of 2017. The acquisition created mutual benefits for both companies, capitalising on Avantor’s cGMP manufacturing processes and its significant exposure to emerging markets, along with VWR’s distribution capabilities across the Americas and Europe. The deal created a major global consumable and services provider to the life sciences and technology industries, as well as education, government and research institutions. Further building on VWR’s successful growth of VWRCATALYST, the company opened a new kitting center in Skalice, Czech Republic at the start of the year. The 35,000 ft2 facility supported the growing business of Therapak which VWR acquired in 2016. Therapak supplies pre-packaged convenience kits and procedure packs for the clinical trial, pharmaceutical and clinical laboratories, and therefore complements the service offerings of VWRCATALYST. The facility is in proximity to major industrial freight carrier hubs boosting VWRCATALYST’s regional and global reach. Another significant M&A within the cleanroom sector this year was the purchase of Nitritex by Ansell for £45 million. Nitritex manufactures high quality sterile and non-sterile consumables for controlled, critical and healthcare environments. Under the flagship brand BioClean, it produces a range of products including disposable gloves, garments, goggles, face masks and accessories for life science customers in more than 80 countries. Nitritex’s wide geographic footprint and consistent double-digit earnings provided Ansell with an opportunity to grow the life science business section of its company. Ansell is a global company providing protection solution services to industries such as healthcare, automotive, chemical and food processing. Also looking to merge with another safety solution company was Elis, which completed the acquisition of Berendsen in September. The company said that the acquisition of Berendsen marked an important step in Elis’s growth strategy, to become a pan-European textile hygiene and facility services leader. The deal, which was valued at £2.2bn, reflects Berendsen’s strong market position in the UK and Scandinavia, and Elis’s market leader position in France. While some companies capatilised on growth opportunities, some businesses had debts to settle, and in March, Sealed Air sold Diversey for approximately US $3.2 billion. The sale provided Sealed Air the funds needed to repurchase shares to minimise earnings dilution and re-focus on accelerating profitable growth. Bain Capital — a global private investment firm — bought Diversey in a strategic move to grow its geographic market reach and expand its hygiene solution portfolio. Diversey has invested significant sums of money into its hygiene solution products and services, which includes the Internet of Clean, robotics and AHP disinfection technologies. The deal completed in September 2017. Following on from this acquisition, Bain Capital then made an offer for Zennith Hygiene in November. The bid was made to facilitate the expansion of Diversey into Europe because of Zennith Hygiene’s strong operational presence in the UK and Ireland. At the time of going to press, the deal was still on-going and completion was anticipated during Q1 of 2018. Following suit, Hygiena which is a disinfectant company specialising in rapid food safety and environmental sanitation testing, acquired DuPont Diagnostics in March. The acquisition of DuPont’s global food and safety diagnostics division, enabled Hygiena to expand its product portfolio to include a comprehensive range of products for its global food and beverage customers. Hygiena also bought Pruebas Microbiologicas Rapidas (PMR), one of Hygiena’s independent distributors serving in Mexico. The acquisition created Hygiena Mexico which strengthened Hygiena’s presence in the region to facilitate the company’s commitment to its growth strategy. Also creating business news within the hygiene sector was Hanovia and Berson Milieutechniek — both part of Halma plc — which merged in November to create a new unified company providing ultraviolet (UV) disinfection systems. The companies now have access to a large network of approved UV care support centers around the world backed by an expanded distribution capability and more comprehensive product portfolio. Both businesses released a joint statement and said that now they are a unified company, their combined products and engineering capabilities will allow them to deliver better application-optimised UV solutions to customers around the globe. Science and technology company Merck acquired BioControl at the start of the year, in a bid to gain new business opportunities within the food and beverage testing industry. BioControl’s rapid detection technology and third party-validated testing platforms complement Merck’s portfolio of instruments and consumables for food pathogen testing. The following month, Christeyns purchased food hygiene specialist Klenzan. The deal, which was first initiated by Christeyns back in 2012, aimed to strengthen the firm’s position in the food hygiene market across both the UK and Europe. Klenzan has over 25 years’ experience in manufacturing, designing, installing and maintaining cleaning solutions across the food, brewing and beverage, dairy and pharmaceutical industries. Christeyns said that the acquisition will facilitate plans to develop a unified presence in the European food hygiene market. In the US, microbiology testing company Microbiology & Quality Associates (MQA) was acquired by Analytical Lab Group in November. MQA is well-established in the pharmaceutical, cosmetic, medical device, biotechnology and healthcare industries, serving as a microbiology testing company with consulting and research services for more than 25 years. It also specialises in on-site environmental monitoring of hospital compounding pharmacies in New England, and has an ISO 5 cleanroom with isolator. As a unified company, both businesses have gained a strategic west coast presence in the US. Extractables and leachables lab testing company Toxikon Europe was bought by Sterigenics, a specialist contract serialisation service provider, towards the end of the year. The deal aimed to grow Sterigenics’ Nelson Labs business. Nelson Labs now offers extractables and leachables capabilities to its customers around the world and in kind, will offer Nelson Labs microbiological services to Toxikon Europe’s customers. Pasteurisation and sterilisation service provider Cosmed Group, acquired the ethylene oxide sterilisation operation from iuvo BioScience in January. Cosmed Group traditionally operated within the food sterilisation and technology industry, however the acquisition allowed the company to expand its service offering to include the contract sterilisation of medical devices. 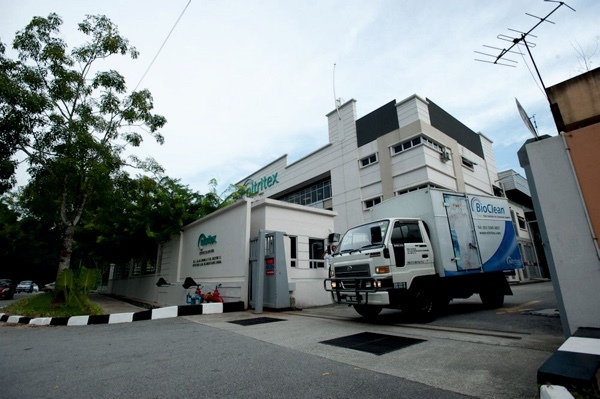 Iuvo Bioscience said that its decision to divest the ethylene oxide sterilisation operation was made to sharpen its focus on core strategy initiatives, which includes the aim to become a leading laboratory service provider for the pharmaceutical and medical device industries. Also looking to expand its sterilisation service offering was Key Surgical and Interlock Medizintechnik. The two companies merged in April to create a global service provider of sterile processing supplies. With a combined reach of almost 10,000 hospitals and surgical centers around the world, the venture created a strong platform to captilise on the increasing numbers of hospitals investing in infection prevention and patient safety initiatives. The acquisition complimented the merger of Interlock and Clinipak — a UK producer and distributor of decontamination products — back in 2016. Following suit, biological and cleaning indicator provider Mesa Labs, acquired SIMICON in October. Biological indicators (BIs) are used to assess the effectiveness of sterilisation processes, including steam, gas, hydrogen peroxide, ethylene oxide and radiation, in the hospital, dental, medical device and pharmaceutical industries. Cleaning indicators are used to assess the effectiveness of cleaning processes, including washer-disinfectors and ultrasonic cleaners in healthcare settings. The combination of SIMICON’s unique BI’s that Mesa did not offer, such as disinfectant indicators for endoscope reprocessing, meant that, as a combined service operator, both companies could expand their product range and expertise. Kinetics Holding, a full-service process and mechanical contractor for technology markets worldwide, acquired Wafab International, a global supplier of wet processing stations and components. Wafab’s line of specialised chemical deposition tools and established customer base increased Kinetics’ product portfolio and overall turnkey, allowing the business to better serve its semiconductor and solar customers. The acquisition also benefited Wafab’s core wet bench business by introducing its products to customers around the globe. Expanding within the UK, Kaiam a leader in advanced data center transceivers, acquired Compound Photonics (CP), a manufacturer of liquid crystal on silicon display devices and laser technologies. The addition of CP’s cleanroom manufacturing facility at Newton Aycliffe, UK, increased Kaiam’s production capacity and provided long term solution to add integrated InP photonic integrated circuits (PICs) to its advanced transceivers. Kaiam’s CEO Bardia Pezeshki said the acquisition gave the company access to advanced Integrated InP PICs at a significantly lower cost. US-based Primo Medical Group purchased the cleanroom assembly and packaging business from North American Sterilization and Packaging (NASP). The deal facilitated expansion of Primo Medical Group’s cleanroom assembly operations by including NASP’s customer portfolio, which encompasses a wide range of medical device manufacturers in the US and Europe. The acquisition also enabled Primo Medical Group to broaden its platform of engineering, manufacturing, cleanroom assembly and packaging services. Also looking to tap into the medical device sector was US-based Cretex, which acquired medical device assembly and packaging company QTS. Cretex is a combination business that serves four distinct markets: medical, aerospace & defense, infrastructure, and industrial. The addition of QTS’s experienced packaging engineers and microbiologists added value to Cretex’s medical division. The deal aims to meet the growing trend and demand of end-to-end solutions from medical device manufactures, which have been seen to cut-back their supplier base and reward companies who offer more. As a major user of cleanrooms, the pharma sector saw activity from a number of drug contract development and manufacturing organisations with desirable facilities. Amatsigroup which provides preclinical and clinical services for human and veterinary drugs, acquired developer of injectable dosage forms, Disposable-Lab. The deal extended Amatsigroup’s aseptic manufacturing solutions for Good Manufacturing Practices compliant environments and increased overall manufacturing capacity for sterile clinical batches. The founder of Disposable-Lab, Jean-Pascal Zambaux, said that the leveraging of both business’s expertise will enable the development of the best manufacturing processes for customers. In October, the contract services company PCI Pharma Services bought pharmaceutical and healthcare contract packaging services provider Millmount Healthcare. Millmount has served pharmaceutical and healthcare customers for more than 20 years and has invested in expanding its potent compound packaging capability, opening a new high potent, high containment packaging facility in Ireland. PCI said that the Millmount facilities will become an important hub for its Clinical Trial Services business given its strategic position in the European Union. The purchase marks PCI’s fourth acquisition outside of the US in four years. That same month, Lonza acquired a clinical-stage mammalian manufacturing site in the US. 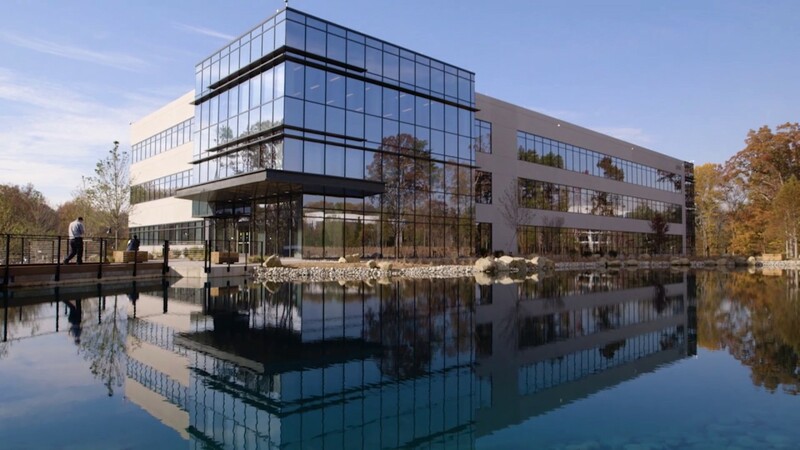 The site, originally owned by Shire, enabled Lonza to increase manufacturing capacity to meet demand for its clinical products. Lonza will serve as a partner to Shire managing the manufacture and supply of reagents used in many Shire products; in return, Lonza gained extra capacity at an already established and dependable global manufacturing facilities. This deal complemented Lonza’s more high profile acquisition of Capsugel in 2016.